The nomenclature of American history often has about it an air of ingratiating imbecility. The 1920s, for instance, which in so many ways embodied the last reassertion of a dying form of simple business dominance, have been referred to over and over again as “The New Era.” The last ten years of the nineteenth century were a period of great suffering, unrest, bitterness and anxiety; so we have called them “The Gay Nineties.” The eight years of James Monroe’s Presidency, which were years of bumptious nationalism and expansionism, parochial vendettas and snarling hostilities, have come down to us under the rubric of “The Era of Good Feelings.” Although George Dangerfield has no illusions as to the accuracy of this designation—the state of political feelings during the age was, he says, “’except for one brief period, that cannot be prolonged into an era, invariably not good”—he has chosen it as the title of one of the solidest works of historical writing in recent years. 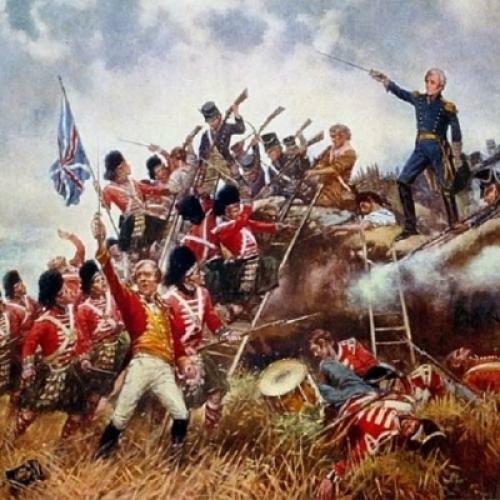 The period from 1817 to 1825 has long been the No Man’s Land of American historiography; a blank interlude between the age of Jefferson and that of Jackson. Historians have neglected it because they have never been able to organize it around the central thread that connects almost all conventional writing of American history—Presidential politics in the framework of the two-party system. Since it was a one-party era, we have tended to assume, nothing happened; a continent was catching its breath between rounds. But when we enumerate the things that did actually take place, even within the conventional frame of reference set by our concentration on national politics, we find that they add up to a great deal. The West was being settled. with rapidity; new states were coming in; the electorate was being enlarged by the development of universal male suffrage; Jefferson’s party was carrying out its fascinating capitulation to Hamiltonian policies; there was a spectacular panic and depression; the debates leading to the Missouri Compromise took place and the slavery question appeared for the first time as a serious issue in Congressional politics; John Marshall wrote his great nationalist decisions; the nation was engaged in a running duel with England over commercial policy; the Monroe Doctrine was promulgated; and, at the end, the techniques of modern American politics were emerging in the elections of 1824 and 1828. Before the appearance of Dangerfield’s book the only important work I can think of that covered much of this ground was Frederick Jackson Turner’s Rise of the New West, a good book but limited in scope and now almost fifty years old. Dangerfield has done something that is indeed remarkable: without any predecessors in the field he has written a general synthesis of the history of the period that is almost certain to endure as a standard work. Those who know the delightful volume he published many years ago; The Strange Death of Liberal England, will expect from him exceptionally animated and witty .prose, and they will not be disappointed. He is well informed as to the findings of modern scholarship, and he has woven them into a masterful narrative. Dangerfield has chosen to preface his story of the events of Monroe’s Administration with a long account of the negotiations leading up to the Treaty of Ghent that settled the War of 1812. This point of departure is regrettable, I believe, for while it has given him a chance to introduce some of his dramatis personae, it begins his book with the least fresh and interesting of his material. My primary criticism of the volume rests, however, not upon anything he has done but upon what he has omitted. He has given us an excellent new synthesis of the era, with many fresh insights, but he has not written the new interpretation which I think needs to be done, and toward which his own work often dearly points. The depression which lasted from 1819 to 1823, he remarks at one point, caused the debtors (and he might have added other groups) to consider whether they ought not “’look for a new kind of general government— one that would promote, by strong action and not by negative precept, the great ‘agrarian’ ideal of a society of independent property owners.” This seems to me to pose the kind of problem that will yield a strikingly new view of the age, but Dangerfield has been able to follow it through in no more than casual fashion. And for good reason: he has accepted, to a greater degree than the nature of the period warrants, the framework of what one historian has called “’the presidential synthesis.” He has written steadily from the standpoint of national politics, national diplomacy and the national party system about an era which can be fully comprehended only through a cumulative account of local, regional and institutional developments. The Era of Good Feelings is as fine a consummation as we are likely to get of the old approach to the period. The next outstanding work on this era will be, I venture to predict, one that approaches it not from the familiar perspective of the Presidential synthesis but in an institutional framework, and it will be written by a historian who conceives of his task in the manner of a political sociologist. What is sometimes called the Jacksonian revolution was actually achieved in large part before Jackson was elected, and even the portion of it that took place during the years of his Presidency went on concurrently with, rather than because of, the conduct of the national administration. Changes in political institutions ind practices, in the recruitment of political leadership, in the structure of business enterprise, in patterns of status—such are the materials out of which the next major interpretation will be built. I hope they will be in the hands of a historian who can use them with the mastery Dangerfield has shown here. Richard Hofstadter, associate professor of History at Columbia University, is author of The American Political Tradition.